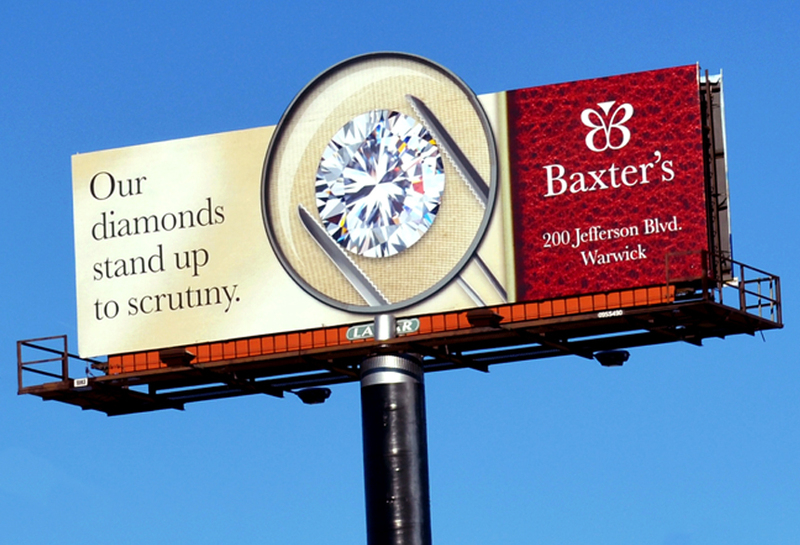 Baxter’s Jewelry ran a brand marketing campaign in Warwick, RI on Lamar bulletin Billboards. 3D extensions were used for the magnifying glass and tweezers to enhance the billboards flashiness. These 3D extensions made the advertisement even more eye-catching and effective.